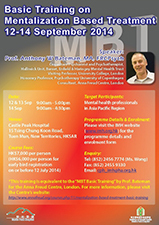 The Basic Training on Mentalisation Based Treatment (MBT) organised by the Institute of Mental Health of Castle Peak Hospital was successfully held on 12 to 14 September 2014, with 40 mental health professionals participated. 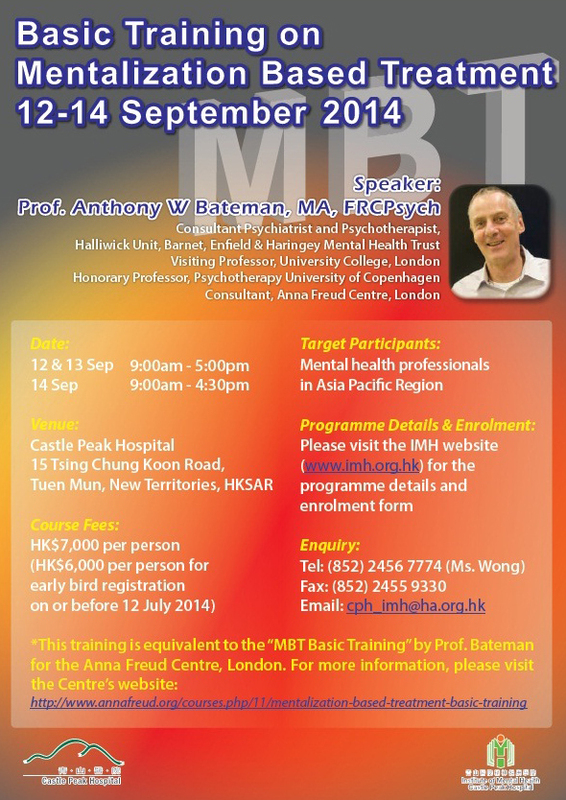 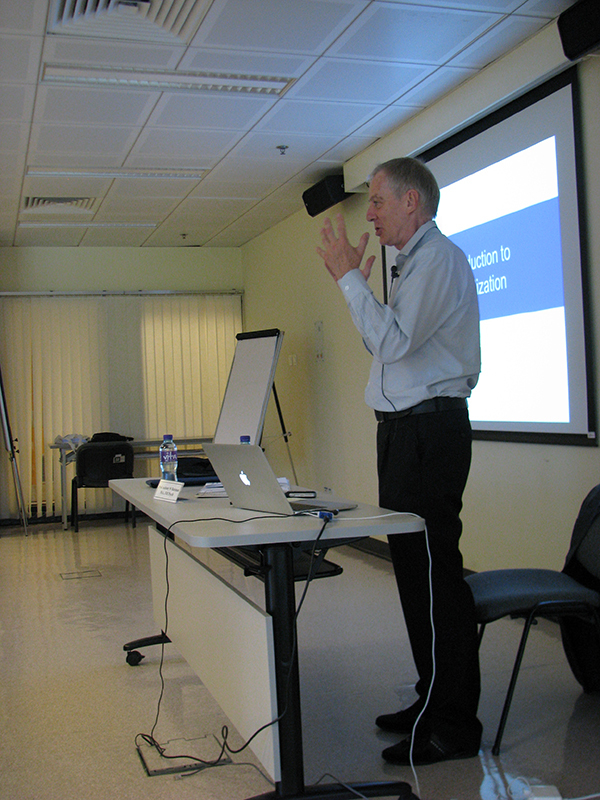 We are pleased to have Professor Anthony W. Bateman, the Consultant Psychiatrist and Psychotherapist of the Halliwick Unit, Barnet, Enfield & Haringey Mental Health Trust in London, to deliver the 3-Day training. 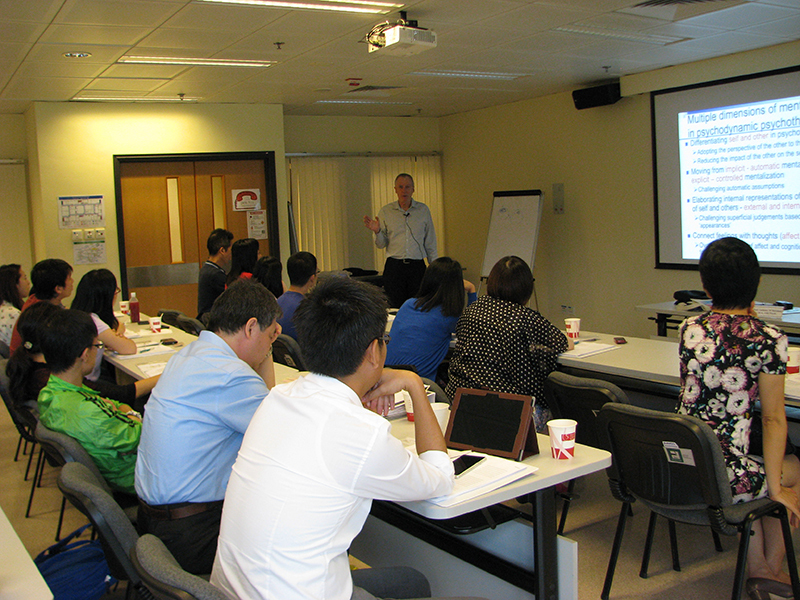 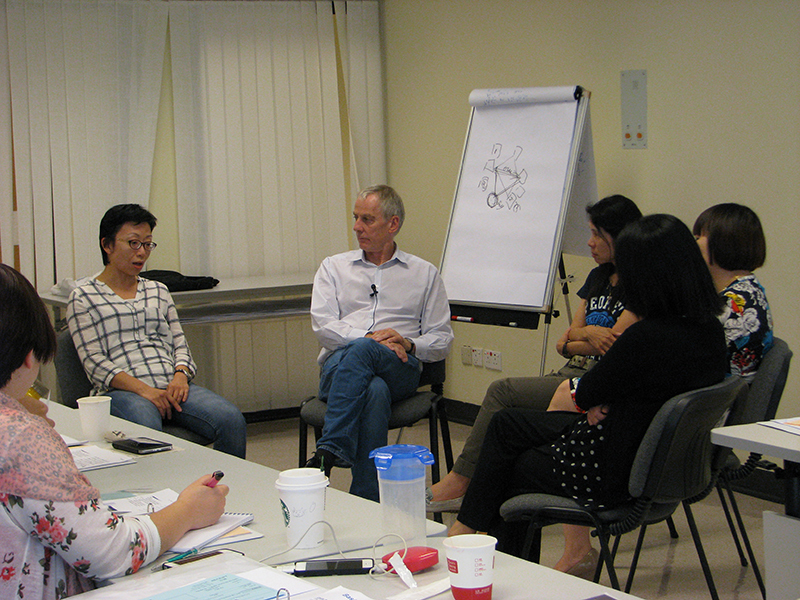 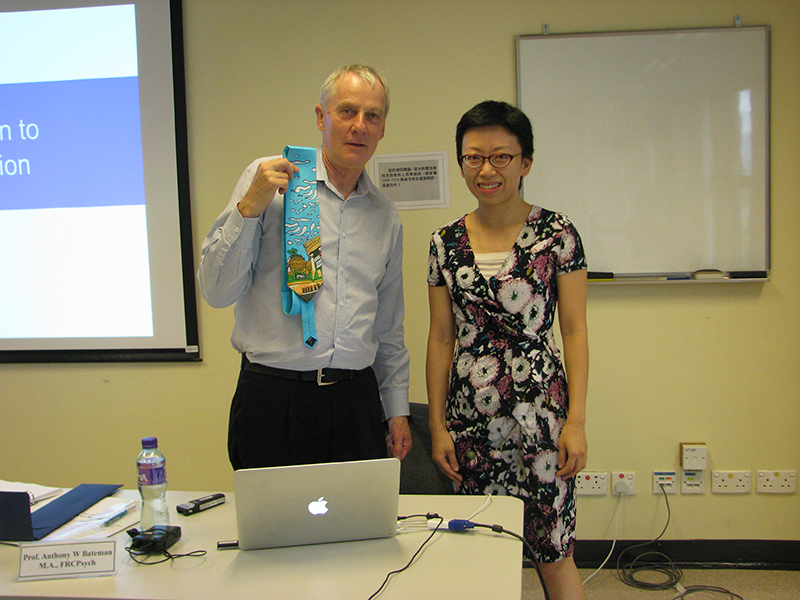 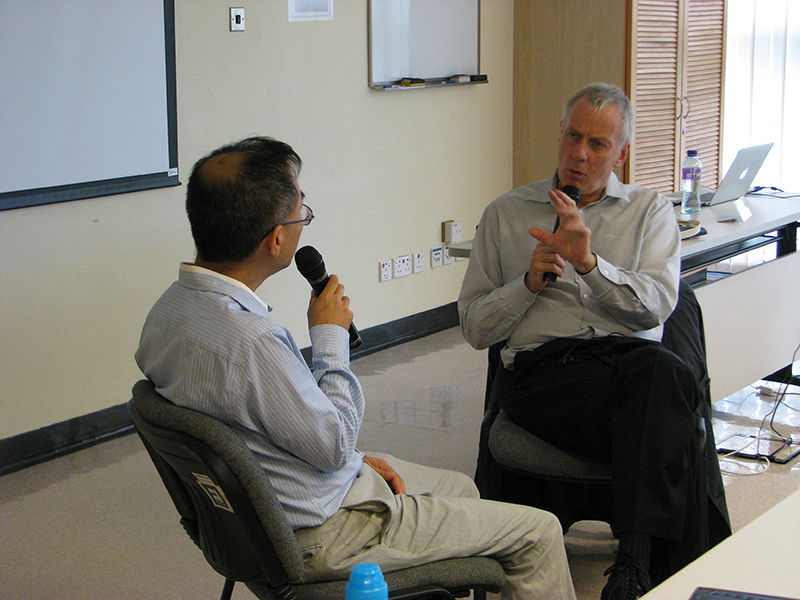 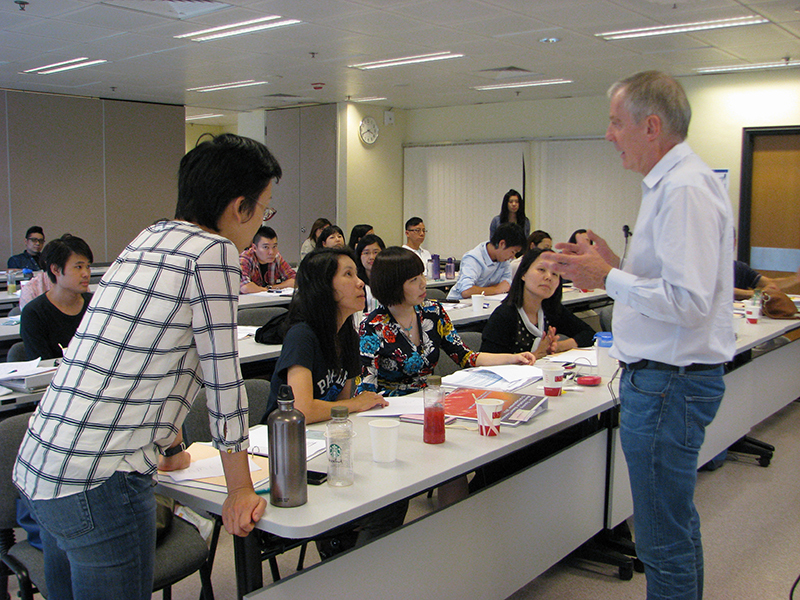 It provided an opportunity for specialists in different disciplines to acquire the knowledge on MBT.